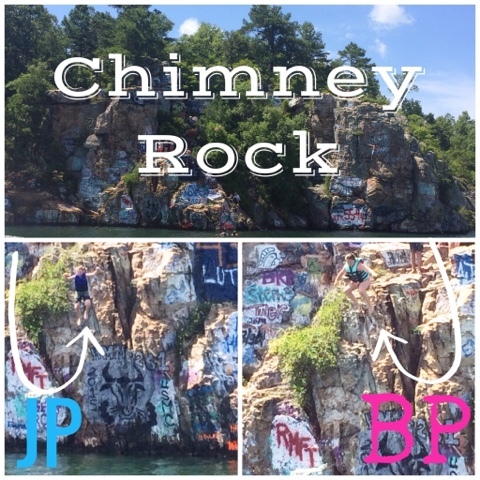 Monday, June 22nd: Chimney Rock Fun!!! 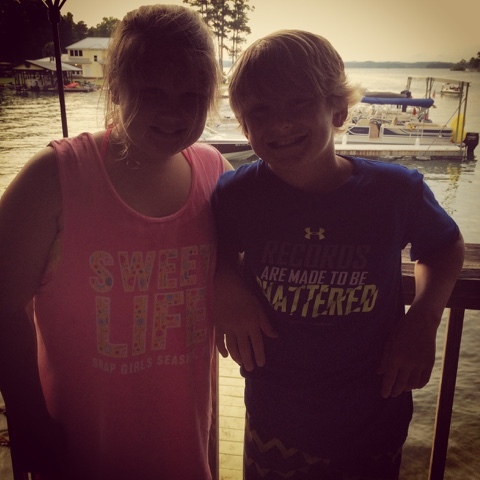 Jackson and Brylee have wanted to see and jump off Chimney Rock as long as I can remember. But, it is pretty far by boat from RP's parents house so we have never been over there. Well, Grandaddy's boat "lives" in the marina not far from it and that is ALL the kids have talked about all weekend long! We rode by there on Saturday and it was CR-A-ZEE over there with boat and people many I am sure who were over served so we drove by and went on! We promised them that on Monday before we put the boat up we would go back by there and let them jump off because we knew there would not be crazy crowded during the week! And we were right there was us and 3 boats! So they FINALLY got to jump off the "little rocks" the Lutz rock is as high as we would let them go! Now their summer has been made!!! Check that off their summer bucket list!!! Tuesday, June 23rd: Movie Time: After being in the sun and on the lake for 5 of the last 7 days we were sun and water logged and ready to just chill! Jackson also started summer football workouts today (by the way how is my baby boy old enough for summer workouts... He is still suppose to be the ball boy and just get to go for fun)! So he was really hot and tired! 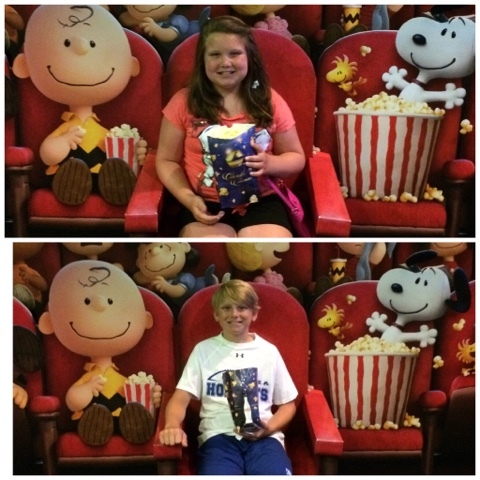 We decided it was a great day for a movie add stimulus Tueaday to that and it was a win win! We saw "inside-0ut" and it was super cute movie with a great little message! 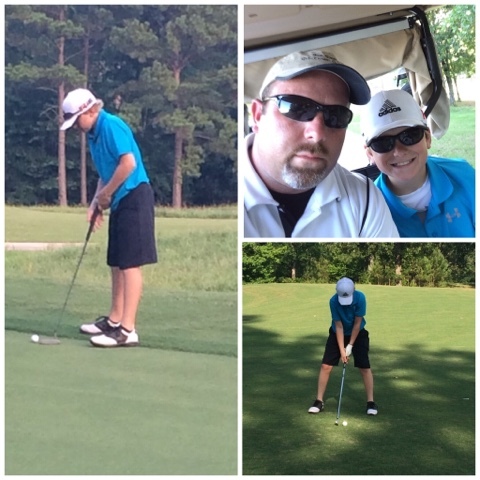 Jackson has been begging and I mean begging RP to take him to Timberline and play golf! So "finally" as we says, today was the day! The boys went to play 9 holes of golf this afternoon and BP and I just chilled at home! Everyone was happy! 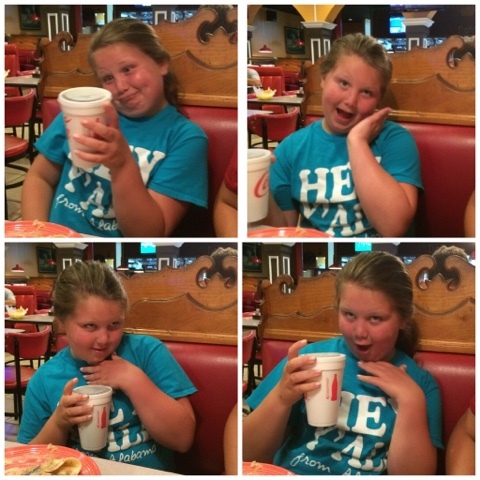 Tonight we went and got our weekly Mexican fix and this is what sister does during dinner to entertain us!!! Heaven help us this girl is crazy!!! Friday, June 26th: Dinner at Chucks on the Boat! This is another one of those things Jackson and Brylee have been looking forward to this summer! We drove over to Chucks on the boat to eat some yummy pizza! Another item off the summer bucket list!! Jackson and Brylee brought out all the toys today and rode all over the lake. 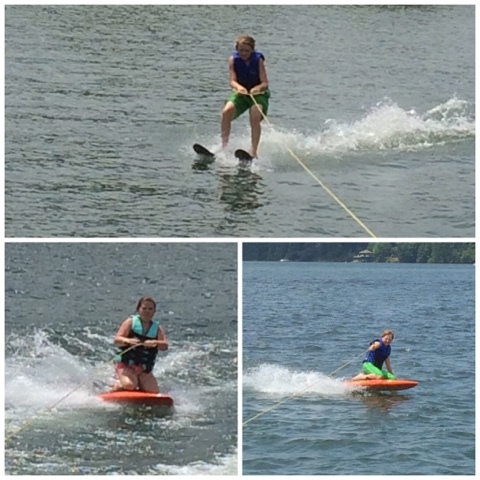 Jackson skied for the first time this summer and did great! Brylee tried and almost got up but didn't quite make it! We will keep trying and I know she will get it she is so close! But she can tear up the lake on a knee board she will "sling shot" as she calls it from one side of the boat to the other! They are fun to watch and will ride as long as you pull them! 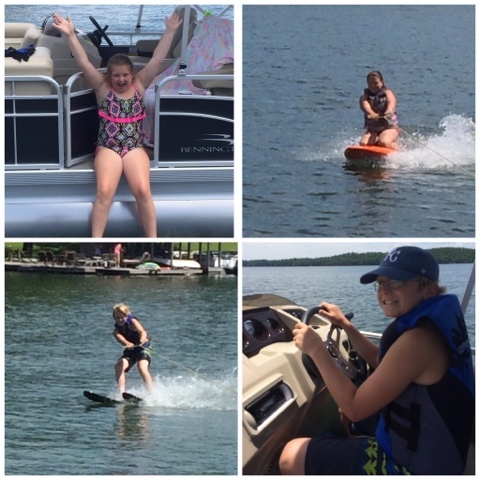 We did more boat riding, swimming, kneeboarding, skiing & taught Captain Jack the ways of the lake since he reminds us weekly that he can drive the boat by himself in two summers! Heaven help us... I don't know that I am ready for that! Just b/c it's the law doesn't mean it's ok with us! That is what we tell him weekly! LOL!